Mmmmm. 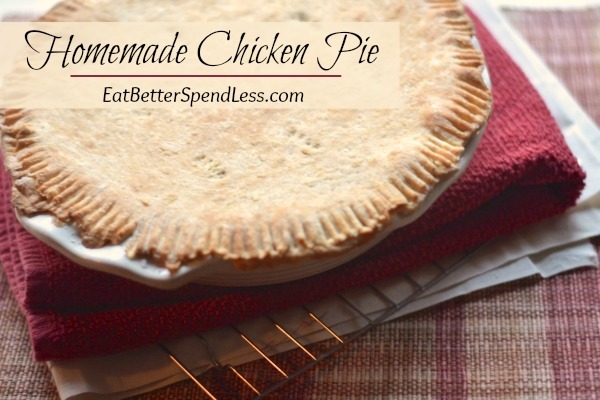 Who doesn’t love chicken pie! 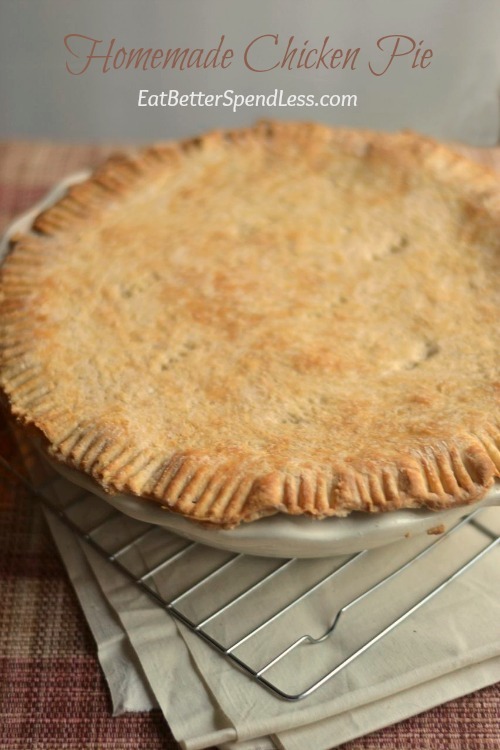 I’ve been eating this exact pie since I was a kid and loving every bite. If I could get away with it, I might just eat the crust off the whole pie and then serve what’s left to the family. But that would be bad. Very bad. I need vegetables, and this is a pretty tasty way to get them. I like to serve it with either homemade Bread & Butter pickles or applesauce. It is best to make the crust dough before starting the filling. You can even make it a day ahead. If your chicken isn’t cooked, go ahead and get that started too. Put dry ingredients into a medium bowl. Mix butter into flour with a pastry cutter or fork (or use a food processor). Add milk and mix just until you can form a ball; don’t over mix, lumps are OK.
Divide dough evenly and form into two disks. Add chicken and veggies, stir. 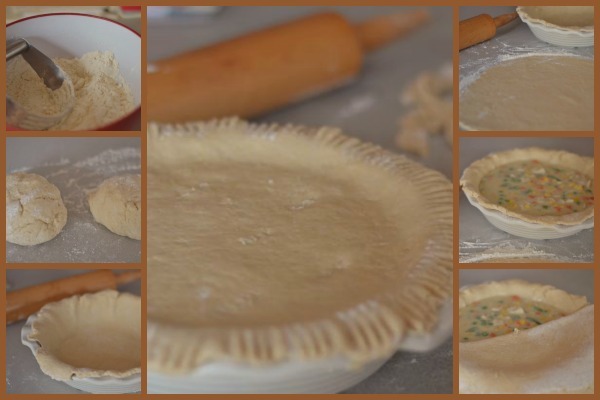 Roll out ½ of the dough into a circle, a little larger than your pie plate. Transfer dough to plate, allowing edges to hang over. Repeat with other ½ of crust, lay on top of filling. Cut off extra crust from both top and bottom. Press all around the edges with a fork to seal. 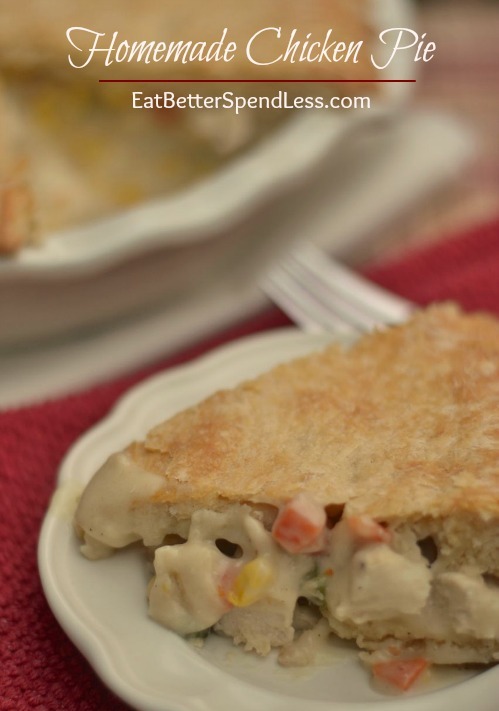 Using your fork, poke a few holes in the top crust. Bake on 375 for about 20 minutes.